Global manufacturer and supplier of weighing equipment in the rail industry. Our portable train weighing systems are supported and enhanced through our intuitive ptwX software. 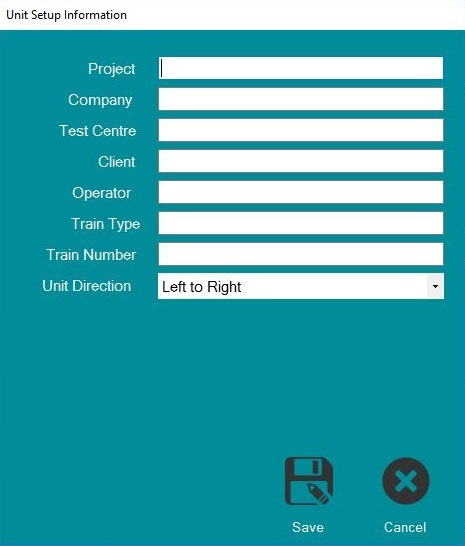 Our in-house multilingual ptwX train weighing software is designed for manufacturing and maintenance depots that require immediate answers to production problems. 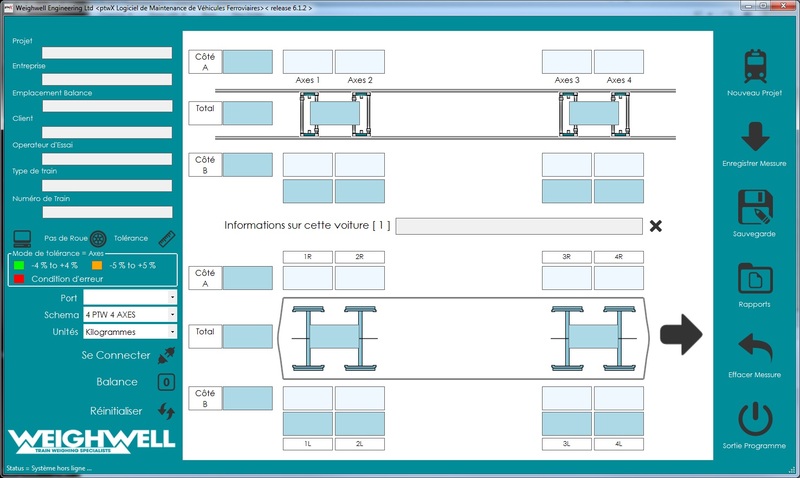 The software is easy to use and provides real time displays of up to 16 axles (including individual wheel weights). The main screen display shows information for individual wheels, axles, bogies, side loads and total locomotive/railcar weight. 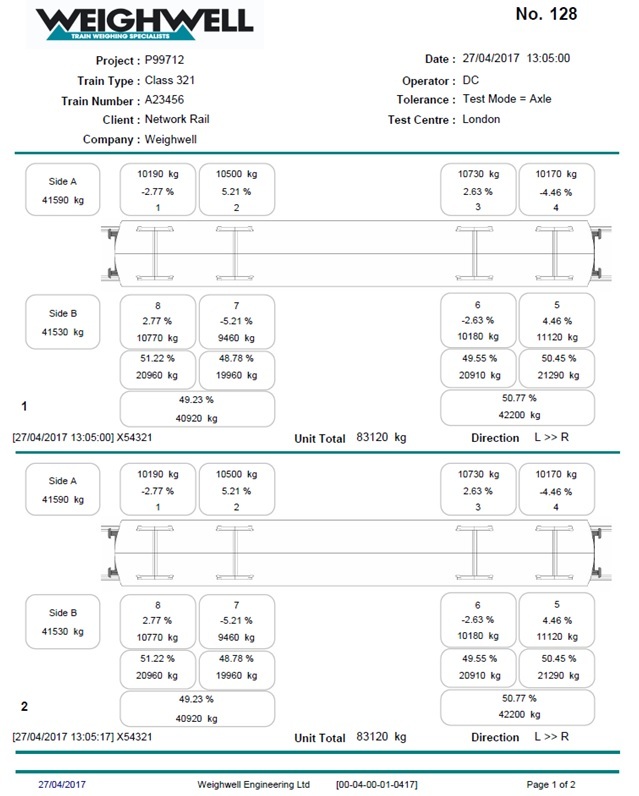 Our software also indicates the weight differentials between wheels on axles, axles on bogies and bogie differences in relation to the full locomotive and all in ‘real time’. Having produced over 50 different report formats to meet various DIN standards, our software reports are generated to meet the customer’s specific requirements. This can relate to extensive information on Delta Q calculations or simply detail individual wheel weights in relation to the train’s configuration (wheel numbering). Our ptwX software provides fully customised reporting options with the ability for reports to be exported in standard formats such as pdf and csv. The software also uses industrial strength structured query language (SQL) database and has full networking capability including Wi-Fi. Current features of the software is that it intuitively allows the real time weight display of wheel information (including tolerances) and a choice of weighing units (including percentages). The ptwX software can graphically display unbalanced wheel loads (with increment sizes of 10kg) which if not rectified can give rise to dynamic instabilities or incorrect levelling. A design aim in the development of the ptwX software is to let the customer introduce their own custom-built options. This can be from complex reports to methods of operation. A key interface with our industry leading PTW train weighing systems. The ptwX software is available in a variety of different languages. Data can be viewed across a network with the ptwX reporting tool. Interfaces from single axle to full railcar weighing operation. Support for bespoke test procedures. 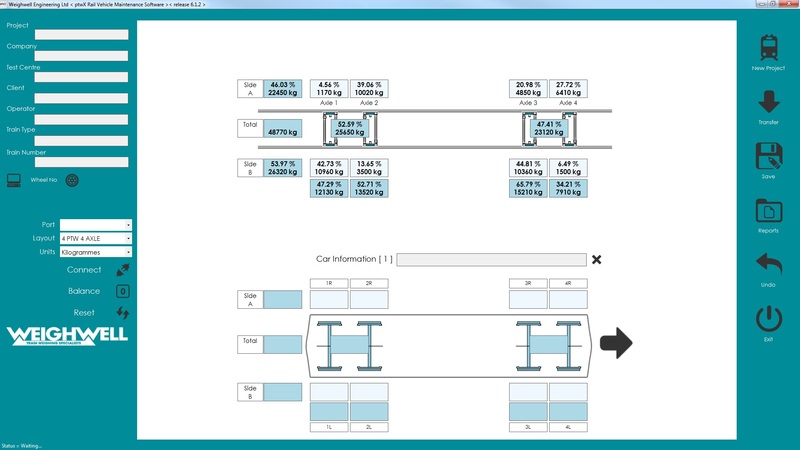 Ability to drive large remote displays for operator convenience. To maintain the latest updates and improve our software features, we offer technical support that ensures your portable train weighing systems are up-to-date and meet your on-going weighing requirements.